A locally popular fishing pier was one that existed for years at the Naval Air Station at Pt. Mugu. As to be expected, access was limited to military personnel and their dependents but apparently it was an excellent pier for many species including deep-water fish from time to time. Unfortunately the winter storms of 1993 not only destroyed the pier but also hammered and rearranged the entire beach area. Today both pier and beach are gone but the Pt. Mugu Lagoon bears witness to an area that once was a favored source of recreation. 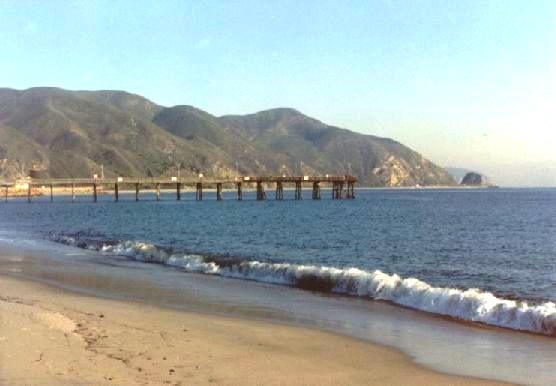 The pier’s history apparently dates back to the early 20th Century when the Mugu Fish Camp was built along with a 200-foot-long pier (see below). 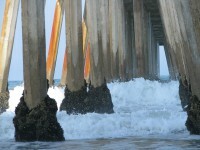 That pier was heavily damaged in the storms of 1939 that damaged many of the southern California piers. The pier was rebuilt and would last until the storms of the ‘80s and ’90s once again damaged the pier—this time for good. Today it’s only a memory. Two fishing barges are recorded as operating from Point Mugu, the Pt. Mugu I and the Pt. Mugu II, both in the 1930s. Not too far offshore is located the submarine, deepwater canyon usually simply called the Mugu Trench, a canyon that can funnel deepwater fish into the inshore area. 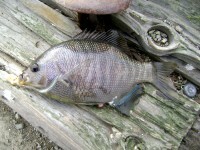 One notable fish was a louvar (Luvarus imperialis) that was caught on the Point Mugu Beach in 1939. 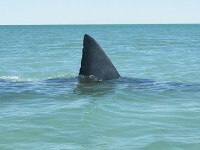 The 13 3/4-pound fish was one of only a handful of the fish that have been seen in California. Ted Diefenbach is home from a week’s vacation, which was the most restful and delightful that he has yet enjoyed. He spent it at the Point Mugu fishing camp, where he enjoyed swimming, boating, fishing, hiking and has attained a beautiful coat of tan. “That’s the place for a restful vacation,” Ted says. Board and room may he secured at the camp besides many are living in tents. 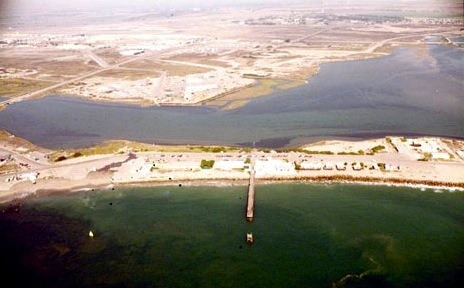 The fishing camp is located about 10 or 12 miles from Oxnard on the strand beyond the Point Mugu lagoon, which will be the next big development in this section, according to some. The Point Mugu Fish Camp has secured a large Live Bait Fishing Boat, The Star Light. And are now ready to take passengers on trips to the Anacapa, Santa Cruz or other points of interest to Sportsmen or Fisherman. Will Charter for Private parties. Fisherman are now bringing in Jew Fish, Halibut, Rock Cod, White Fish, Bass and other varieties freely the last few days. Also good fishing on the Barges outside. Fishermen from Santa Paula and Venture broke the halibut record at Point Mugu this week for season and gave local anglers something “big” to aim for. Harvey Schuyler, 139 Oak street, Santa Paula, last Sunday landed a 53-pound halibut from the barge, the largest so far for 1935. The halibut measured 56 inches in length and 22 inches in width. W. J. Stuart, 222 ½ Vince street, Ventura, on the same day, topped the previous pier record of 31 pounds by taking a 33 pounder. However, Los Angeles anglers seem to favor the big ones, as Ray Darsie, Griffith Park Golf course, on July 30, landed from the barge a 400 pound jewfish. This makes more than a dozen large jewfish landed this season from the barge, practically all by Los Angeles fishermen. During the past week halibut fishing slowed up somewhat in quantity but on average were larger. Sunday crowds continue to fill the pier, while there is elbow room for those who are able to do so, throughout the week days. The angriest sea in the county’s history took a toll of fishing boats and lives. The Sportfishing boat Spray went aground on Point Mugu with a loss of 23 lives, the Point Mugu Fish Camp was a shambles and the Coast Guard was kept busy helping several boats in distress. The Point Mugu Fish Camp announced the opening of a new all-electric restaurant, along with the rebuilt camp, specializing in fish dinners. 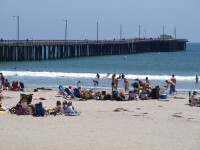 The [Oxnard] district boasts the Southlands leading fishing center—Point Mugu Fish Camp—which is the haven for surf, pier and deep sea fishing. Almost daily, parties of fishermen leave the piers at the harbor and at Point Mugu. The channel between here and the islands long has been the favorite winters for fisherman. Famed Movie Setting—The Point Mugu Fish Resort not only is well known to fisherman of the Southland, but is well known, too, to the movieland. Above is the area when it was used as the setting for the Philippine Islands during the Spanish-American war. POINT MUGU — Where once there were fishermen, now there are warriors. At the Point Mugu Naval Air Weapons Station north of Malibu, archeologists have spent the last week unearthing the remains of a once-thriving fishing village founded by a Japanese businessman at the turn of the century. During its heyday in the 1930s, the Mugu Fish Camp just off Pacific Coast Highway was a popular playground for movie executives from Hollywood, who cruised up the coastal highway to hunt waterfowl at Mugu Lagoon, fish off a 200-foot wooden pier and luxuriate in a Japanese-style communal bath. The fish camp had been forgotten until the brutal winter storms of 1995 broke through a massive sea wall built by the Navy 30 years ago, pummeling the beach-side buildings that had been constructed on top of the site. The military planned to tear down the buildings and remove what remains of the sea wall. That gave Schwartz an idea. He had seen plenty of photographs of the old fishing village–black and white images of wooden cabins, the tackle store, the concrete bait tanks that lined the entry to the pier. But he wanted to see what lay under the Navy’s former laundry. Armed with a $175,000 Navy grant and the help of a San Diego firm that specializes in historical research and archaeological digs, Schwartz is getting just what he wanted. “So the first thing we did was find the bait tanks,” Schwartz said with satisfaction, leading a tour of the sandy site, where the concrete foundations of three tanks stand exposed in a neat row, a fourth crumbling into the sand. The bottoms still have traces of the original bluish-gray paint. When the fish camp was booming, sportsmen could pick up tackle and sundries at the little store on the other side of the pier, then mosey over to the tanks to select their bait. A trained seal lived in a fifth tank, now lost to time and the sea. Schwartz said Japanese businessman Frank Kubota founded the village, building the store, cafe, six wooden cabins and a series of tent cabins along the beach. The date of the construction is uncertain, but Schwartz said the first photographs he has seen of Kubota’s village are from 1912. Kubota also built a bridge across the marshy, wildlife-filled lagoon as an entryway to the camp from Pacific Coast Highway. It was a toll bridge, costing 25 cents to walk across and a $1 to drive across. From what Schwartz has learned, Kubota went to jail for bootlegging at some point in the 1930s, turning over operation of the fish camp to Walter and Marguerite Welton. In 1939, Kubota sold the camp and returned to Japan, taking with him the profits from his business and leaving behind its remnants for archaeologists to find decades later. In a week of digging, archaeologists have turned up sake bottles, rice bowls, pieces of the hurricane lamps that lighted the camp at night, whiskey bottles and an alarm clock caked with rust and missing its face. On Wednesday, the diggers came upon a real find–the remains of the communal Japanese bath. Brushing away years of accumulated sand, they found pipes for hot and cold water. Schwartz believes the concrete foundation was once capped by a redwood tub. Tired fisherman would lounge in the tub, probably sipping sake or whiskey. “Pretty relaxing after a day of gutting fish,” Schwartz said. The entire fish camp had to be rebuilt after a storm of hurricane intensity hit the coast in September 1939, killing 28 passengers on a pleasure boat as it attempted to return to the camp from a trip to Anacapa Island. During World War II, after the devastation from the storm and the rebuilding effort, the Navy took over to build a base. The fish camp’s cafe became a mess hall and the cabins were used for storage. Bit by bit, most of the camp was built over, until only the pier and cabins remained. The pier was damaged by storms in 1988 and capsized last year in the same storms that destroyed all but one of the cabins. When the dig is completed in another week, the Navy plans to establish a museum in that last cabin, now relocated to a safe spot across the road. The archaeologists are videotaping the dig and photographing everything they find. With the ocean always advancing, Navy officials say there is little point in trying to preserve the unearthed foundations except on film. But this time, he said he hopes that the fishing village won’t be forgotten. How times have changed since the Mugu Fish Camp and pier at Point Mugu was a serene recreational destination for Ventura County residents and people from the inland areas of Southern California. To be sure, the drone of propeller-driven airplanes probably prompted a quick look from visitors, but the thunderous roar of supersonic jets was still well beyond their imagination. So, no doubt, was the thought that the area would one day be called a historic site. That designation will come this afternoon. Built about 1929-30 on a sand spit between the ocean and Mugu Lagoon, the camp offered local fishing from the pier and deep-water fishing from chartered boats. Eventually, the area grew to include tent cabins, small houses, a store and cafe. Movies such as “The Real Glory” with Gary Cooper and “A Yank in the RAF” with Tyrone Power were shot near the lagoon. And then, on Dec. 7, 1941, America was pulled into World War II. The military cocked its covetous eye at the land and coastal possibilities offered by Mugu and, slowly, everything began to change. By 1942, a military camp was taking shape on some 4,000 acres of beach and tidal marshlands around the lagoon. Army anti-aircraft batteries and Seabees began training there, the Seabees building the first runway, 5,000 feet long, with metal Marsden mats. Loons, American versions of the German V-1 rockets, were test-fired at the base. A dirt knoll was built on the beach that had a Loon launch pad, catapult and operations building. In 1946, President Truman approved the building of the Naval Air Missile Test Center at Point Mugu. Three years later, the Naval Air Station was established to provide the test center with logistical and operational support. Since then, the base has undergone several organizational overhauls and testing has evolved with developing technology, but the mission has been steadfast: to put the best weapons possible in the Navy’s arsenal. 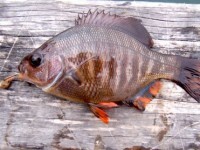 Posted in Pierfishing, Saltwater Fishing and tagged with California piers, pierfishing, Point Mugu Pier, saltwater fish, saltwater fishing. RSS 2.0 feed. My dad used to take us fishing here as a kid. We could reliably catch something every time we went out: mackerel, crabs, rockfish, perch, and even the ocassional halibut. Good times. Christmas scince I was a kid. George Bellah was my great grandfather. That is a really cool story!! My son is being transferred there in the next few months. I will visit him around the end of the year. I want to take my grandson fishing close by can you recommend places to go or boats that are good for fishing? My son also enjoys fishing so he may join us. He is an E2 pilot in the Navy. My grandson will be close to three years old when I visit so it would be good for a fishing experience that is OK for a youngster. 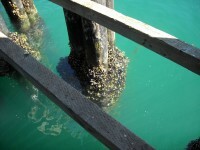 1978ish humbolt squid run covered the entire walking surface of that pier. The most amazing thing ever! There was no room for another fisherman on the rail’s. I was 10 years old with my family , dad was a CB stationed there. I friend of mines dad worked on the base there. My buddies mom was Japanese and a big fisherman. 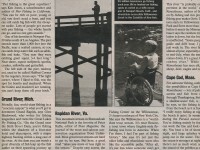 We visited that pier (during the 80s) about once a week for several years. I was looking on Google Maps to see if it were still there and found here that it is no longer there. We always caught fish, mostly just maquerel, but there was bonito and some other exotics from time to time. 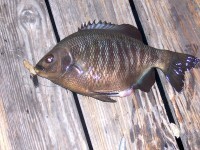 I vividly remember the perch fishing at the base of the pier from the rocks being exceptionally good. What a great memory, thanks for sharing yours. Even though I’m not military, it this pier was a great child hood memory. My dad, brother and I used to fish this pier between 1969 and 1972, when I was just a kid (8-11 years old). It was a great time to grow up and a great pier to fish. 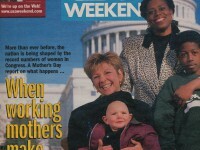 Reading this article brought back a lot of good memories. 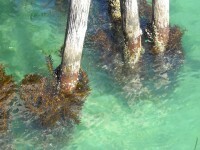 Most of the time, we’d just fish from the elevated section of the pier. But, there was a small deck at water’s edge at the end of the pier. You had to pass though a locked gate to get the the stairs that led down to it. The gate was always locked. But, when it was just a few friends and me on the pier, we’d climb out and around the gate and fish from the platform at the water’s level down below. Back then, the fish that you mostly caught were perch, mackerel, (what we called) sugar bass, halibut, croaker, sharks, and, of course, bullheads. I have many fond memories of good times spent fishing there. 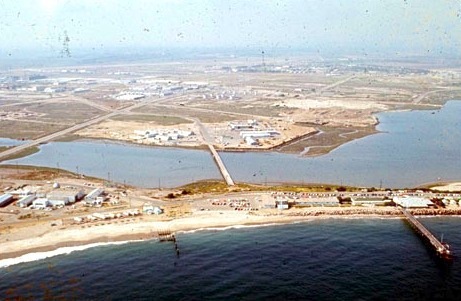 My dad was stationed at Point Mugu in the late 80s. We lived in the temporary housing right before the pier. My step brother and I caught everything from skates and rays to sand shark. Not to mention plenty of spider crab in our ring. Sad to see the pier is gone. 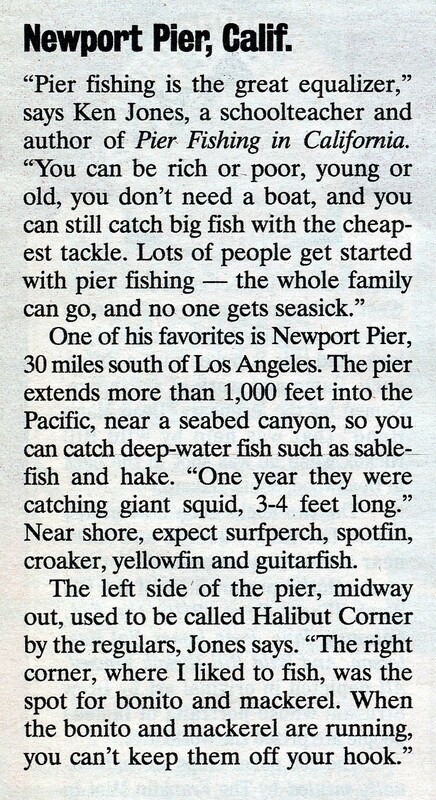 I lived in Pt Mugu on Sparrow Drive, and as a kid, fished the pier for two summers. We caught Bonito, Halibut, Calico Sea bass, Mackerel and perch. 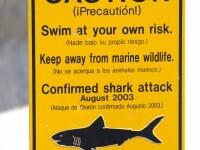 the water off the pier would occassionally boil as the schools of bonito would hit the bait fish. We used chrome covered sinkers with a treble hook. We also hunted the settling ponds for ducks and rabbits. We used slingshots to hunt cotton tails and jack rabbits. You could always count 30 to 40 jack rabbits in the fields.